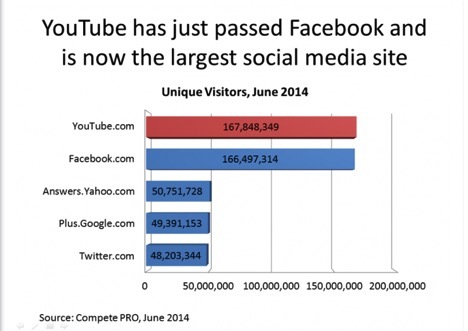 YouTube has surpassed Facebook in the race for viewers. You need YouTube! By now, we’ve established that as a brand and a business, you need video. Remember? Video is the fastest growing marketing medium in history! Videos are shared 12 times more than links and text posts combined! You need videos embedded on your website, you need videos in your email marketing, you need videos on Facebook and Twitter, you need how-to videos and Q&A videos for efficiencies in customer service, and you need a YouTube channel. YouTube is now the second largest search engine in the world. 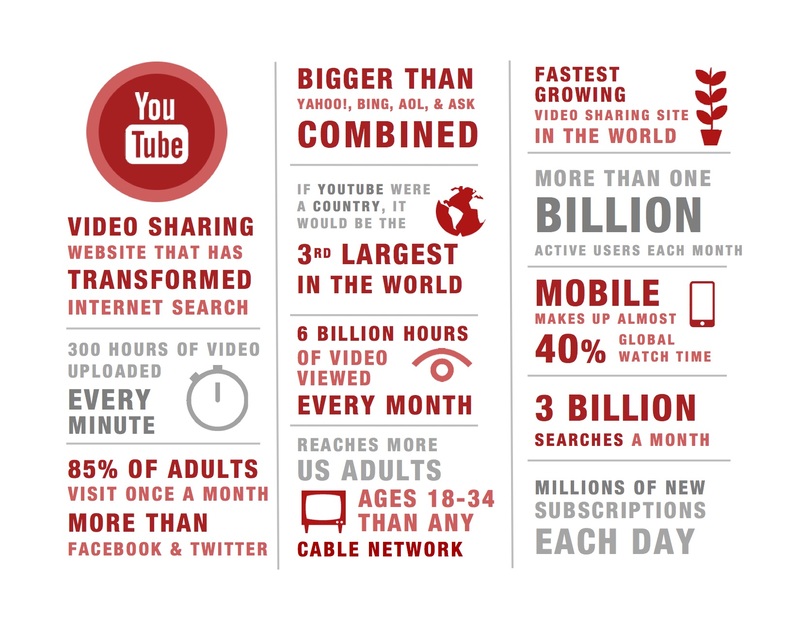 More than 700 hours of video are uploaded every minute and more than 4 billion views occur each month. With more than 1 billion unique users each month, YouTube has surpassed Facebook. Consumers love YouTube, they are on YouTube, and they are one click away from finding your video on YouTube. The good news is that YouTube and technology have opened the doors to anyone who wants to create video. With some good lighting, a video camera (even an iPad! ), and well-prepared video cast and crew, you're in business. Next week, we’ll talk about the nuts and bolts of setting up your very own YouTube channel.